Call it a political Advocacy Road show or massive supports for Buhari’s re-election; you are not far away from it. But the truth is that , it was not just an ordinary road show that you see everyday, it was one of those that you witness and continues to reflect in ones mind forever. The shouts of “Sai Baba, Sai Buhari ‘’, ‘’Vote en masse for the man of the People’’, ‘’ support Mr. Integrity’’, rented the air. The beautifully dressed motorcade drew the attention of all and sundries. Heaven was in support as the rain refused to disturb the process. Musicians’ with lovely melodies added pep to the road show. This was followed with dance steps amidst well trained and friendly paramilitary men ensuring that the road was free of traffic logjams. It was a tumultuous outing. 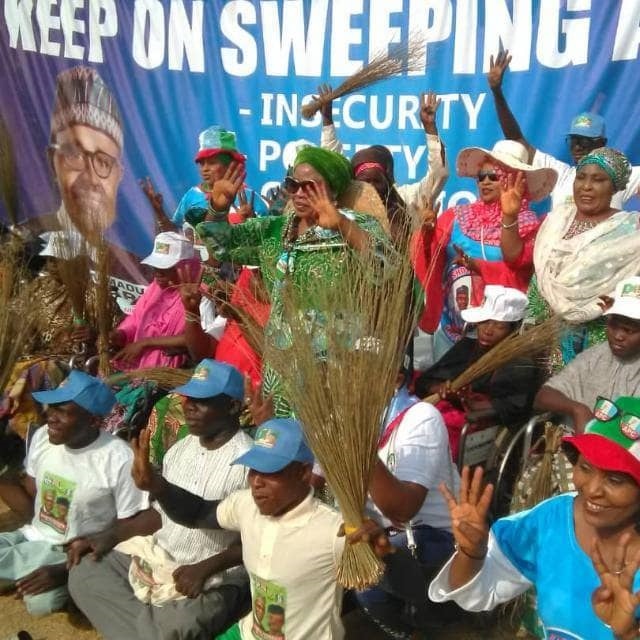 The initiator and chief convener, Dr. Ramatu Tijjani Aliyu , a foremost Buhari loyalist, and the immediate past All Progressives Congress (APC), National Women Leader , who is also a member of the Presidential Campaign Council (PCC), and the National Women Leader of the Presidential Support Committee (PSC) respectively who was in top spirits, with other loyalists , led a multitude of supporters at the just concluded road show, purposely designed to garner support for Mr. President and his Vice President at the forthcoming Presidential election. and our Vice President, Yemi Osinbajo. consolidation has come “she concluded. Nassarawa, Kwara, and Kogi respectively.